Too much drug usage leads to disturbances in the immunity that often affects the health. People need to lessen their use of pharmaceutical drugs and try to use more natural products to optimize their immune system and hinder the prevalence of side effects that opioids cause. This is where the onion comes in. Onions belong to the genus Allium of the Alliaceae family. It is native to Asia. Back in the earlier times, onions were worshiped by the Egyptians, who thought their concentric rings symbolized eternity. You can choose from around 500 varieties of onion, which adds spice and flavor to any meal. Onions have around 25 active compounds with similar therapeutic properties. They are chock-full of vitamin C and other nutrients and phytochemicals that are good for the body. It had been proven in earlier studies that onions can boost the immune system, decrease symptoms of diabetes mellitus, and prevent platelet aggregation. Onions are known for boosting the function of the immune system. This study, titled “Protective effect of onion extract against experimental immune suppression in Wistar rats: biological and molecular study,” was conducted to investigate the protective effects of onion extract on immune-suppressed rats and its effect on the expression level of cytokines, acute phase proteins, and antioxidants. The group wherein rats were given onion extract for a week then immune-suppressed with DEXA for three days, then were given another dose of onion extract for three weeks. The rats’ serum and RNA were extracted to study the rats’ biochemical and genetic changes. The study found that the rats that were injected with DEXA had their number of leukocytes decrease, the number of their neturophils increase, and their white blood cells decrease. Furthermore, these rats experienced a decrease in antioxidant levels such as catalase, glutathione, and super oxide dismutase and an increase in malondialdehyde levels. Gene expression analysis revealed that dexamethasone suppressed gene expression of antioxidants. 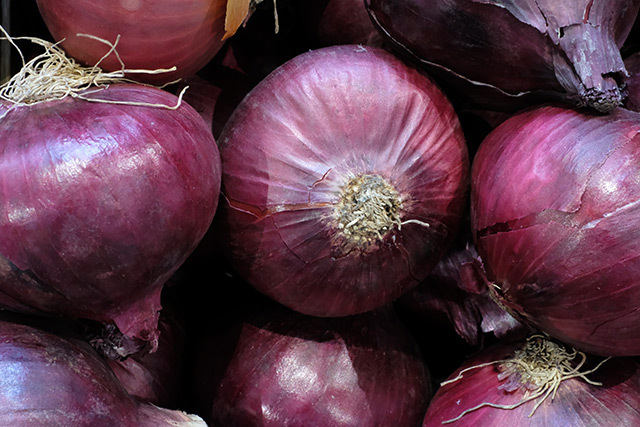 Meanwhile, the rats that were given onion extract experienced a boost in their antioxidant levels, proving the hypothesis that onions are important as immune-stimulants at genetic and cellular levels. “Current finding concluded that onion extract has immunomodulatory activity and has the potential to regulate immunosuppressive effects of dexamethasone at cellular and genetic levels,” the researchers wrote. The body’s immune system helps the body fight against many disease-promoting factors and malignant cells. It is composed of lymphoid tissue, bone marrow, tonsils, the gastrointestinal tract, lymph nodes, thymus, and the spleen. It optimizes the body through helper and suppressor cells. Recent reports show the importance of spices and nutrients in strengthening the immune system. Disorders of the immune system can result in inflammatory diseases, autoimmune diseases, immunodeficiency, and cancer. Immunosuppressive medication are sometimes used to combat ailments of the immune system as it can affect variable gene transcription events. For instance, glucocortinoids are the most used drugs to address chronic inflammatory disorders by binding to intra-cellular receptors, causing alteration in protein-protein interactions, and consequently regulation of gene expressions. However, pharmaceutical drugs can be prone to being abused, and can cause detrimental side effects to the body. For more articles on the medicinal properties of onions and other superfoods, visit FoodCures.news today.